In mass tort litigation where thousands of claimants are involved, it is quite common or plaintiff’s lawyers to procrastinate in cultivating their cases and may neglect securing prescriber testimony. This is a big oversight that your Brownsville medical device defense attorney should seek to capitalize on. Why? Because if a plaintiff does not have any causation testimony, their claim is drastically weakened. A good example highlighting how a plaintiff’s failure to take prescriber testimony created an opening to knock out their claim is In re Mentor Corp. ObTape Transobturator Sling Products. Liab. Litig., No. 4:13-cv-229, 2016 WL 4611572 (M.D. Ga. Sept. 2, 2016). In this case, a prescribing surgeon treated a plaintiff for incontinence with vaginal mesh. The plaintiff never had the vaginal mesh removed, but claimed that the mesh caused her to suffer chronic pain. But here’s the problem – the plaintiff’s lawyer failed to take the implanting physician’s testimony and the physician died. The defendant wisely moved for partial summary judgment and was able to get the case booted out of court. Under Texas law, a plaintiff is required to establish that the defendant both failed to provide an adequate warning regarding the device at issue and that a failure to warn proximately caused the plaintiff’s injuries. Additionally, Texas adheres to the learned intermediary doctrine, which allows a prescription medical device manufacturer to provide an adequate warning about the risks associated with a medical device to a prescribing physician, not to the patient directly. This is why the prescribing physician’s testimony can be so critical in these types of cases. Since the implanting surgeon in the ObTape case passed away, there would be no way to obtain direct testimony. The plaintiff’s counsel tried to salvage the case by arguing that a “reasonable” physician similarly situated to the prescribing surgeon would have found a failure to warn and a warning would have prevented the alleged injury. The Court did not buy it. The Court recognized the simple fact that a procrastinating plaintiff takes a major risk in that sources of evidence could disappear during the pendency of mass tort litigation. Under Texas law, it does not matter what a “reasonable” physician would do. Causation is not some abstract legal concept. 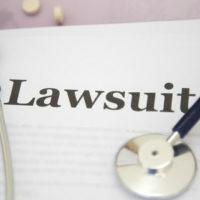 Courts have established that a plaintiff bears the burden to show that a different warning would have caused the plaintiff’s own doctor or surgeon to stop prescribing a device. The plaintiff was unable to produce such evidence. Therefore, summary judgment for the defendant was granted. The oversight by the plaintiff’s counsel in the ObTape case is actually quite common in medical device litigation. For example, the plaintiff’s lawsuit was filed nearly a decade after the plaintiff underwent implant surgery. When medical device manufacturers are facing product liability claims in Brownsville, having qualified and skilled representation is essential. The law firm of Colvin, Chaney, Saenz & Rodriguez, L.L.P. is here to help. Our Brownsville product liability defense attorneys provide skillful representation to product manufacturers facing any type of product liability claim. You can rely on us to pursue every available option in an effort to secure a favorable outcome.